Google+ to Introduce Games, But is it New to Social Media Sites ? Google announced that soon games will be incorporated in Google+, It will be included in the button at the top of their stream. The reported list of games are Bejeweled Blitz, Bubble Island, Angry Birds, City of Wonder, Dragon Age Legends, Collapse! Blast, Crime City, Diamond Dash, Monster World, Dragons of Atlantis, Edge World, Flood-It!, Zombie Lane, Zynga Poker, Wild Ones, and Sudoku. IMHO I have not experienced something new in Google+ in comparison to the experience I have in Facebook. Yes there are lots of people who joined Google+ but I think it is because of curiosity. 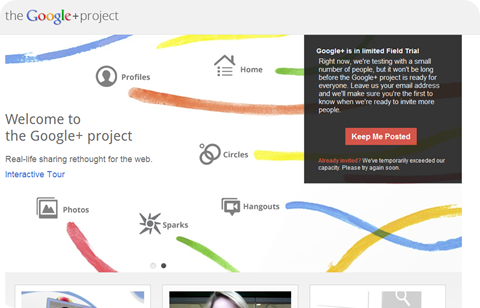 Not unless Google+ shows new innovation that is not present in Facebook, I don’t think Google+ will last long. Some shifter from Facebook to Google+ will eventually come back to Facebook. It will be just like Google buzz. I think incorporating games on Google+ is a good move. Yes, a lot of people are on Google+ out of curiosity and I’ve noticed that only few people actually use it actively (on my circles, at least). Games might lure people to use it more. It’s a start. this is a good step by google. But according to me its impossible to tackle facebook as it has huge number of loyal users and the games provided by facebook are much more addictive that the present users can ditch.